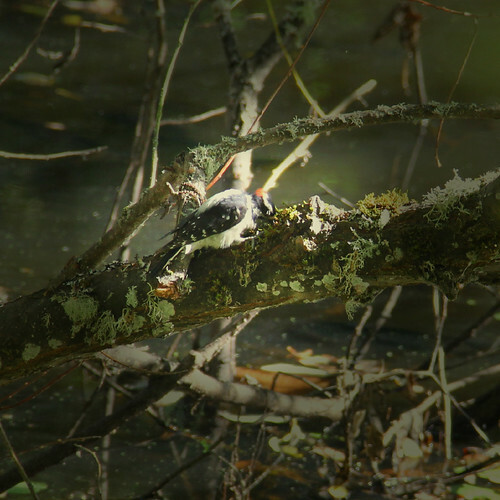 Our study of woodpeckers actually started back in September when we spotted an Pileated acorn woodpecker on one of our nature walks. That's why when I saw that Barb at Handbook of Nature Study had an outdoor challenge this month (November) of woodpeckers I thought it would be great to build on that spotting. It was actually Aaron who spotted this woodpecker. I was so happy that he recognized it, and a little surprised. Here is the only picture I got of the woodpecker we spotted. We watched him from a distance for a little bit. To start with our woodpecker nature study we gathered our books from the library, and from our shelves. Luckily I had this bird bingo I found at a goodwill a while back. It was a fun way to get us thinking about birds, and comparing them to woodpeckers. This is a great way to help young children to learn the names of birds! Guess who was really into this game! Alex was a pro. He would find them so quickly, and when he didn't have them he was so patient. He even repeated a lot of the names after I said them. It was pretty awesome to hear him try to say some of the difficult names. We drew pictures of woodpeckers, and learned about their claws. They have 2 claws in the front and 2 in the back so that they can grab onto branches. Which is why they can hang sideways so well. One that we found fascinating was the acorn woodpecker. We also discovered that there are some in Oregon. I didn't get a picture of it, but there was a neat picture of the tree with acorns tucked in the bark all around it. I found it fascinating how the acorn woodpecker stores acorns for the winter. This is the page we read about acorn woodpeckers that was so fascinating. I bought these plush woodpeckers from Amazon. These were so fun. They even make the noise. My little boys LOVED these, and they made for a lot of great imaginary play. We even made nests for them out of dishtowels, and that led to learning about how many eggs they hatched. Then the boys wanted to make paper eggs for their nests. This is our downy woodpecker friend. Guess we should have named them. He just called his bird "pecker." We also made these fun homemade paper woodpecker toys. They colored and designed their "woodpeckers" as they wanted. Then we put them together and had fun! This was a fun nature unit study. We went on a few more nature walks to see if we could spot some woodpeckers, but never spotted any again. I'm sure we'll keep our eyes out for them in the future now! Please leave a comment, I love to hear what you think. Hi! I am a homeschool Mom to 4 great kids. 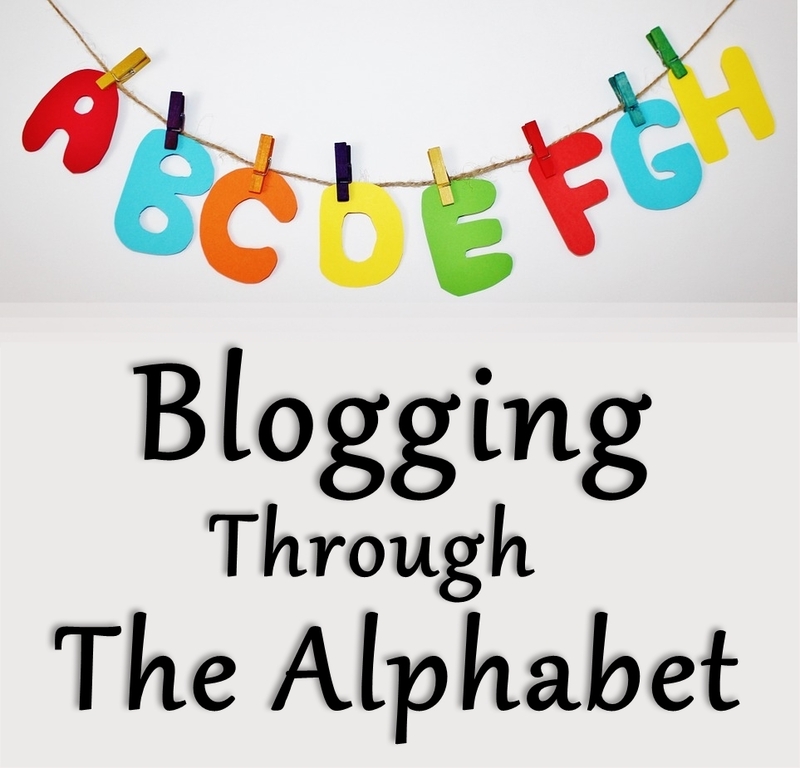 I love to teach, and share what we do here on this little blog. I also enjoy nature, photography, reading good books, and spending time with my sweet little family. is the Daddy, and the Hubby. He provides for us, plays with the kids after a long day, and teaches us all kinds of new things. He's also the "fixer" of the house. If it's broken, and we can't fix it ourselves, we save it for Daddy to fix, and it usually is fixed up in a Jiff. That's me, I'm the Mom and the teacher for our daily school. Also, the writer of this blog.